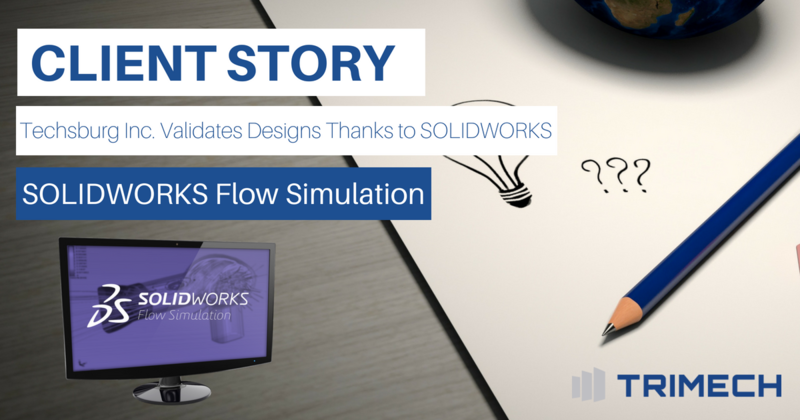 This week's Product Story showcases Coghlin Companies Inc. and their use of Omnify Software Solutions. Coghlin Companies, together with its wholly-owned subsidiaries Columbia Tech and Cogmedix, collectively provide Concept to Commercialization services to a diversified group of capital equipment manufacturers, device manufacturers and select entrepreneurs throughout the United States. TriMech is fortunate to work with clients from Maine to Florida and out to Arkansas, offering a range of engineering solutions. This week's client story showcases a global packaging solutions provider and their use of Stratasys FDM technology. 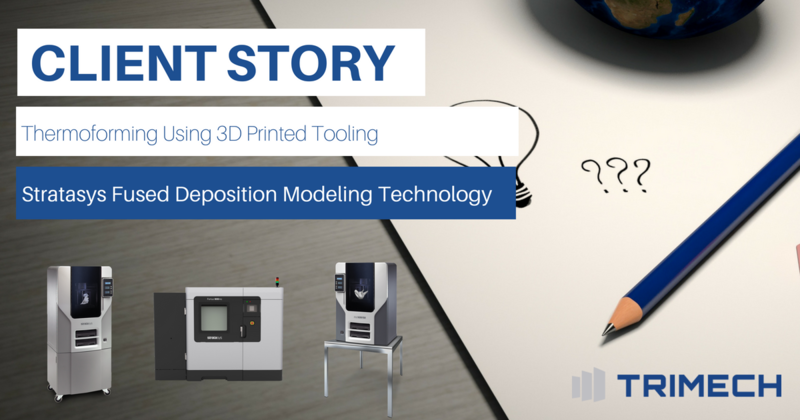 3D printing is progressively changing the way products are designed, prototyped and you guessed it - packaged! 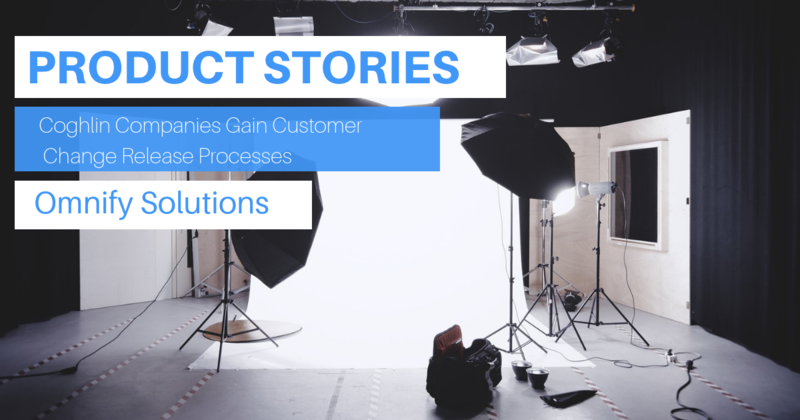 For example, one of our longtime clients is a global packaging solutions provider who produces packaging products for virtually every industry. 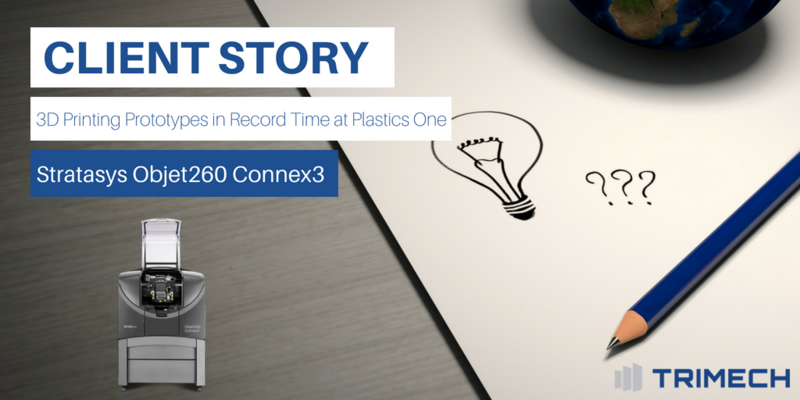 Their corporate office uses Stratasys 3D printing equipment to advance their development and testing of thermoformed packaging products. This week's Product Story showcases Lumenium LLC. and their use of Desktop Metal Solutions. Lumenium LLC. develops an innovative family of internal combustion engines. The Inverse Displacement Asymmetrical Rotational (IDAR) engine is a novel and totally singular design for producing powerful, efficient, internal combustion. TriMech is fortunate to work with clients from Maine to Florida and out to Arkansas, offering a range of engineering solutions. This week's client story showcases Application Solutions and their use of SOLIDWORKS 3D CAD, Electrical and TriMech Training Classes. TriMech is fortunate to work with clients from Maine to Florida and out to Arkansas, offering a range of engineering solutions. This week's client story showcases Construction Specialties and their use of TriMech Engineering Services. TriMech is fortunate to work with clients from Maine to Florida and out to Arkansas, offering a range of engineering solutions. 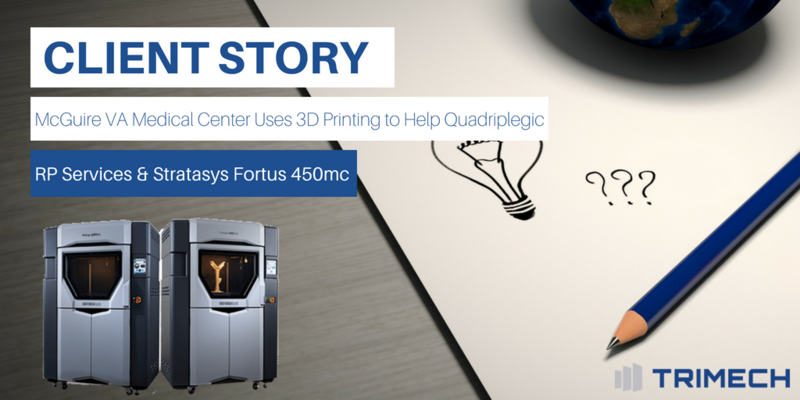 This week's client story showcases TriMech RP Services and the Stratasys Fortus 450mc assisted The Assistive Technology Program at the McGuire VA Medical Center to help a quadriplegic gain back independence.